Hay Bro Sis...A British luxury car manufacturer has now continued into the market-the Japanese market. One of them is the MINI is a product that is shaded by the BMW Group. 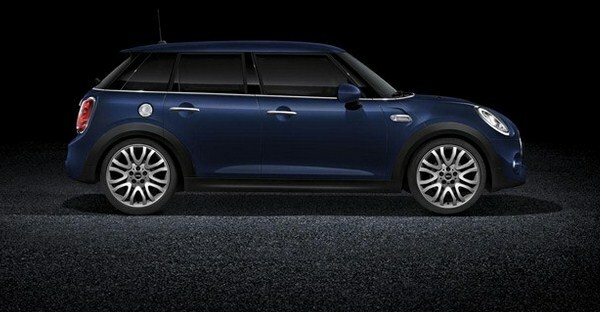 This time he comes to offer a limited edition variant of the MINI Cooper S named by Cooper Jermyn. As has been summarized on page detikOto, Saturday (10/03/2015), that the MINI mention Jermyn only be produced in quantities of 180 units and is offered in two variants: variants of the three-door and five-door variants. For the price, they membanderol with a number of around 4.11 yen, equivalent to USD 503 million including tax also shipping costs. As for a name such Jermyn, MINI also said that for about the name they took from the name of a street in the Mayfair district of London, England. The car has a sprinkling of color that blends between red and blue. The car also uses Alloy rim which has a size of 18 inches. Changes were also seen in the cabin is the seat that had been layered skin sheet with excellent class quality, have headrests that adopt the British flag, the Union Jack. As for the steering wheel dibaluti with Nappa leather. To the front seat, also has been equipped with a heating feature. It is intended that the driver and front passenger also remain comfortable when driving in winter. As for the beauty of the wheel, looks so luxurious with leather sewn manually. Indeed, for a special edition of the Japanese market, the MINI Cooper is designed to be slightly different. Its presence is so limited edition, of course, makes consumers compete quickly to make a reservation before running out, because this car apart from a limited sale also has advantages that will adjust the driver to remain comfortable in all seasons, including winter.